Shelley at RightWay is great at keeping me on track as well as being our outside eye. She is full of innovative ideas and keeps me sane in times of insanity! We create epic campaigns, content, and strategies for social media marketing. We work with small-medium businesses, creating them content calendars, ad campaigns, graphics, and videos to use as digital assets. It's important these days for brands to be active and shouting from the rooftops about their products and services online. We give smaller companies an opportunity to create themselves a digital brand with affordable pricing. 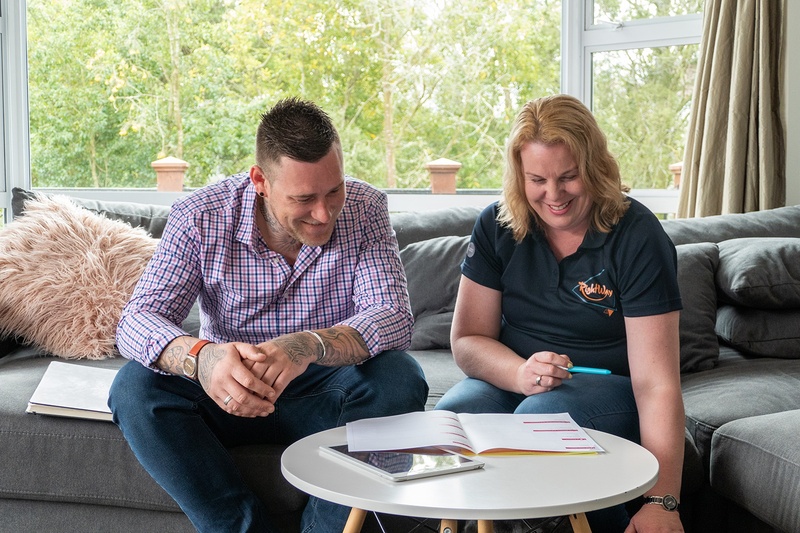 To use our skills to help businesses and support them to grow to their full potential, and to create relationships between us and our clients that promote healthy working relationship and complete understanding of their needs. Starting out in business is scary. We are coming into our second year in business and we are still growing and learning every day. One of the biggest struggles I have had personally with owning a business has been the work/mum life balance, and sometimes I still don't get it right. Shelley has been my rock through this, she's always there ready to snap me back into reality, or to just be there for me when I need. We started Neon Social after owning other businesses and we always struggled with the marketing side. Small businesses often don't even consider getting help with online marketing, as often there are very hefty price tags from marketing companies. We wanted to create a business that had affordable fees so that small businesses had a chance in the market too. We first met Shelley at our previous business. When we created Neon Social we knew we needed Shelley with us as well! I couldn't see us with any other mentor. Shelley is great at keeping me on track as well as being our outside eye. She is full of innovative ideas and keeps me sane in times of insanity! My relationship with Shelley is key to keeping our business on track and hitting our goals. She isn't just our business partner, she has become our friend too. Shelley at RightWay is always there ready to snap me back into reality, or to just be there for me when I need.